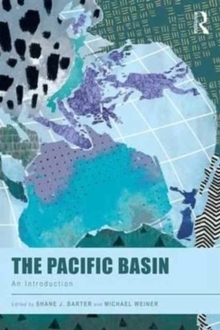 The Pacific Basin: An Introduction is a new textbook which provides an interdisciplinary and comparative overview of the emerging Pacific world. Interest in the Pacific Basin has increased markedly in recent years, driven largely by the rise of China as a global rival to the United States and Asian development more generally. Growth in eastern Asia, as well as in the western Americas, has led the Pacific Basin to evolve as a dynamic economic zone. To make sense of this transformation, the book:Defines the Pacific Basin, locates it in academic research, and explains its importance. Addressees the historical origins and evolution of the Pacific Basin and its sub-regions. Introduces students to the historical and contemporary relationships, continuities and differences that characterize the region. Incorporates analyses of colonialism and imperialism, migration and settlement, economic development and trade, international relations, war and memory, environmental policy, urbanization, mental and public health, gender, film, and literature. Connects the diverse peoples of this vast area, explores their common challenges and the diverse responses to these challenges, and provides a window into the lived humanity of the Pacific Basin. The Pacific Basin: An Introduction is a key textbook for undergraduate courses on the Pacific Basin, the Pacific Rim, International Studies, Geography, World History, and Globalization.